The BAFCO tour to Cairo was thanks to JSPL’s long term friend and surgical colleague Refaat Kamel: it was linked to a Regional Congress of the International College of Surgeons, and coincided with the launch of the Tropical Surgery Textbook edited by Refaat and JSPL. 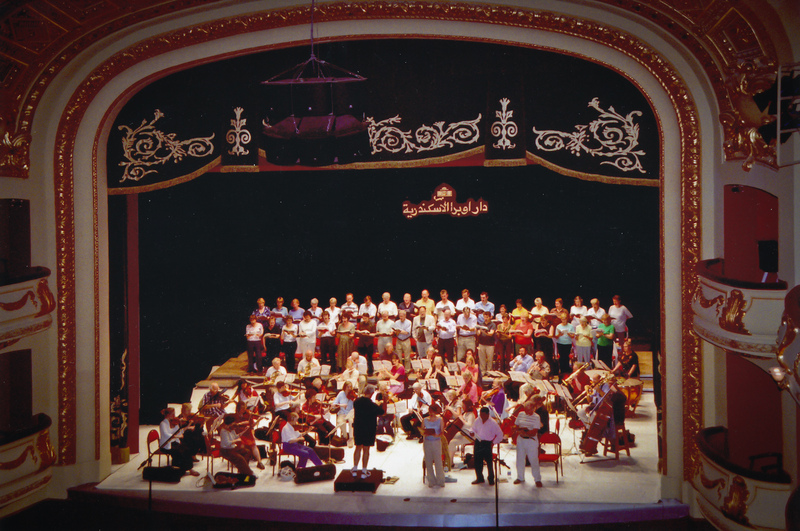 The musical aspect of the tour comprised performances of the Haydn Creation in Cairo and Alexandria Opera Houses and a mixed orchestral and choral programme, that included the Eroica, in the Anglican Cathedral. We are greatful to the British Ambassador for his wonderful support on all aspects of the visit, and to Bishop Mouneer for his enthusiastic hospitality.